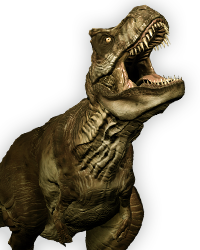 Do you want **** to return in Season 3? I am new here, and this is probably way too long to be a thread starter, but I really want to reach out to all you guys. This is truly how I feel. Telltale's The Walking Dead has affected me far more deeply than any art form. No game, movie, TV series or book has affected me on such an emotional scale. I'm sure other people can relate to me. I've never cared about fictional characters as much as I have with this game. They feel real to me. This past week all I've been thinking about when going to bed was Clementine, and hoping she’s OK. I loved being the angel on her shoulder, guiding her through the nightmare. Upon clearing episode 5 of season 2 it seems like Telltale's intention was to wrap up her arc. Long story short, it is depressing me to think that this might have been the end of her story, and I truly wish to see her in a future season, ideally as a playable character once again. 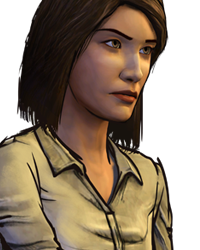 All I want is for Clementine to live a normal life, so why do I want her to return? Don’t get me wrong, I hated seeing her suffer. But I still feel like her journey shouldn’t be over just yet. Season 3 would see her well into her adolescent years, and that alone has a lot of potential with regards to character development. There are some loose threads with regards to Christa, possible other family members, the zombie apocalypse itself etc. That and, well, as you can probably guess she’s my all-time favourite game character. I believe the relatively simple idea I’m about to lay down would fit with every possible ending to season 2. It’s just one idea I've come up with (and I'm pretty tired right now so I'll probably come up with more ideas later). Many other forum members have come up with other great ideas, such as having it take place in Wellington with Clem. It would be interesting to see the opening scenes so radically different depending on your season 2 choices, and all of them can reach the same narrative path by the end of the first episode, while all developing her character in unique ways. So here’s my idea, and how it will work with all five endings: What if Clementine wanted to find Christa or be reunited with other family members? What if the new survivors she finds knows about where to find the rest of her family? Early in the first episode Clementine is depressed, feeling the guilt of living in (comparatively speaking) paradise, and wishes to leave and help others in need. Or maybe Wellington isn't such a good place after all and needs to evict people in order to adequately cope with food rationing. Either way, Clementine volunteers to leave, convincing them that her and Alvin Jr could have a better life someplace else. 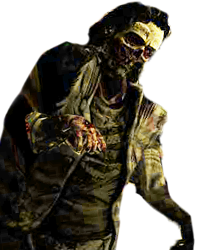 They could even force Clementine to leave or not allow her to take Alvin Jr. She sets out and finds new survivors. 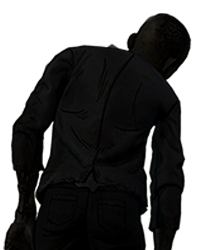 Kenny could fall ill early in the first episode, and forces Clementine to go on ahead and leave him, as they have been travelling for days and don't have any food left. This would also work as his ultimate sacrifice just like if the player had chosen the Wellington ending for season 2. Kenny wishes that she and Alvin Jr will survive, and she reluctantly sets out on her own with Alvin Jr and finds new survivors. Perhaps, due to losing all hope for the two of them, she has the choice of leaving Alvin Jr somewhere safe that only takes in children under her age. Their relationship breaks down as they are low on food, and Jane has lost all hope. 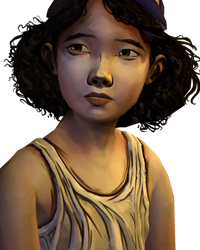 Clementine could wake up one day and not see Jane (and maybe Alvin Jr too), so she is forced to go off on her own and find new survivors. Or Clementine herself could tell Jane that as the situation is so desperate, it’s best for them to part their ways in the hopes that at least one of them would survive. Clem would leave with Alvin Jr and find new survivors. Again, they are both low on food, and Jane could kidnap Clementine and Alvin Jr and drive off without the family in the middle of the night. Clementine forces Jane to crash or could even kill her, and runs off with Alvin Jr to find a new batch of survivors. Well, this one’s obviously the simplest. She finds new survivors. Maybe as with my Wellington ending she has the choice of leaving Alvin Jr somewhere safe that only takes in children under her age. I’m just trying to be consistent with the other openings I've thought of in that there could be a way for Alvin Jr to (seemingly) be left out of the season, with Clem having to overcome that regret as the episodes progress. Another interesting idea someone posted about season 3 could instead be about another member of Clementine’s family finding out about her whereabouts, and sets off to find her. Clem could end up in the same place regardless of the choices made at the end of season 2, but her story of how she got there would be completely different according to previous choices. The only flaw with this is idea I feel is that it would not make her the protagonist anymore. 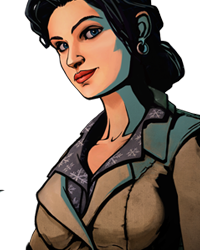 Anyway, I hope Telltale find it in their hearts to bring Clementine back in the future, because I think we all want to see her again. Whatever you do Telltale, don’t ever kill her off. You could have Clementine mentor a younger child throughout the season, mirroring what Lee did for her. But I’ve spent so much time with her now that it would be extremely depressing to have her get the same fate as Lee, especially since she’s just a kid. I'd feel pretty damn worthless if that happened, after everything! The whole appeal of season 2 for was that you were watching a horrible world through an innocent child’s eyes, which made the emotional impact of every scene greater than that of season 1, if that was even possible. She’s too important in our hearts to die. What do I know. Telltale are geniuses, and I eagerly await more news on season 3. Do you want Clementine to return as the season 3 protagonist? Yes. Her journey is far from over, and there's still a lot to be explained. Such as the fate and whereabouts from all the characters. Such as Christa, Kenny (if alive), Bonnie (if alive), Mike, Lilly, Arvo, etc. Plus there are still a lot of characters left to explore, and how Clementine will have to deal with what happened to her after Season One and Two. You see, that's what I thought at first, but the more I think about it the more I feel like the opposite is true. I agree with you in that I initially felt like both Kenny endings give her the most closure. But what about Wellington? We never see it from the inside, maybe it's not all it's cracked up to be. Maybe they keep letting in extra people when they shouldn't, causing a rapid decline in their civilisation. Maybe Clementine feels like it isn't her destiny. Then there's the great shot where you and Kenny walk off in the distance... well what now? How does she cope with Alvin Jr? Where do they go? If anything I feel like Telltale created the five endings to show that all players had formed a different Clementine, and that her story was over. But it's not like they can't all come back to the same narrative path. There could be bridging episode like 400 days which would take the 5 alternate Clementines to the same place by the end of the episode, which could be where season 3 begins. Of course, her personality would remain quite different depending on the ending you received to season 2. Clem is GOLD , they can't get rid of her , yet. I don't mind if Clementine is in season 3....but definitely don't want her as protagonist. I'm content with this being Clementine's ending for now. I think they should switch to another story line, and then introduce her character to the new protagonist., in the following season. They probably made the account back then, but never used it. 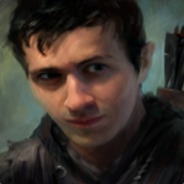 I am new here, and this is probably way too long to be a thread starter Well your profile says Feb 22 2011 so you might be one of the oldest memebers. Well your profile says Feb 22 2011 so you might be one of the oldest memebers. 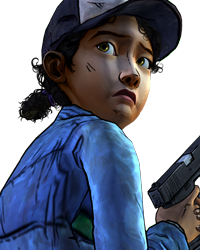 I feel the same way as you, I loved all the characters in the game and considered Clem as a sort of virtual daughter or little sister.I've never cared that much about a fictional character before.Not having her in season 3 at least as a side character would make me lose interest in the game even though I'd still play it.Please Telltale, do not let this be the end of Clem's story! Yep but maybe with a timeskip so Clem is already grown up and she isn't the girl we have to look out for, but another member of the group. Apparently, there was an interview (I didn't see it, but many others did) where they said they already had ideas how to 'tie it all together' (probably how they'll handle 7 different endings) and then some comment about Clem which I forgot. Clem is pretty much confirmed for Season 3. XD you still technically ine of the oldest members. Did you remember your password? PLEASE MAKE 3 seasons, it is the coolest game I've ever played, I was just shocked SEASON 1 AND SEASON 2, I just dream about 3 seasons. More than once I blew a tear watching for a while, and at the end of the season I cried all, in spite of that I'm 23! Be sure to add clementines as the title character PLEASE! I'd like to see Clementine return, but I'd also be open to playing as a new protagonist, separate from Clem's story. As long as Clem's story is eventually continued, I'm all for taking a break to focus on a different set of characters altogether. As long as the writing is good, I'll be happy. I want it to start off where we left it, and Clem as the playable character. I'm 25 and I cried like a wuss at that ending, haven't shed a tear in over 15 years. PLEASE MAKE 3 seasons, it is the coolest game I've ever played, I was just shocked SEASON 1 AND SEASON 2, I just dream about 3 sea… moresons. More than once I blew a tear watching for a while, and at the end of the season I cried all, in spite of that I'm 23! Be sure to add clementines as the title character PLEASE! 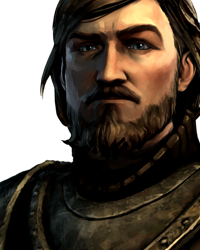 It would seem awkward a year or so from now if Telltale announces working on season 3 and they will start it with a new protagonist. 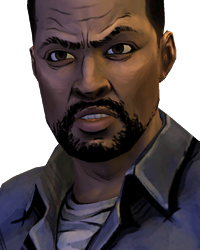 Everyone will be like "ohhh.... so I guess Clem's story is over?" My money would be on Clementine continuing into season 3, but as of right now Telltale only seems to care about how to make episode 5 as best they could and worry about season 3 later... like a year from now. We have to give them credit for that. They weren't going to sacrifice their vision so that the next season would be easier for them to make. I love what they did with the final scenes. It would seem awkward a year or so from now if Telltale announces working on season 3 and they will start it with a new protagonis… moret. Everyone will be like "ohhh.... so I guess Clem's story is over?" My money would be on Clementine continuing into season 3, but as of right now Telltale only seems to care about how to make episode 5 as best they could and worry about season 3 later... like a year from now.